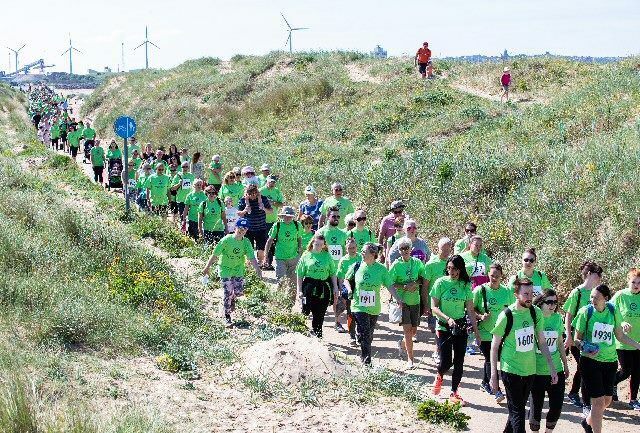 MORE than 500 generous fundraisers enjoyed a seaside walk in the sunshine to help transform cancer care. 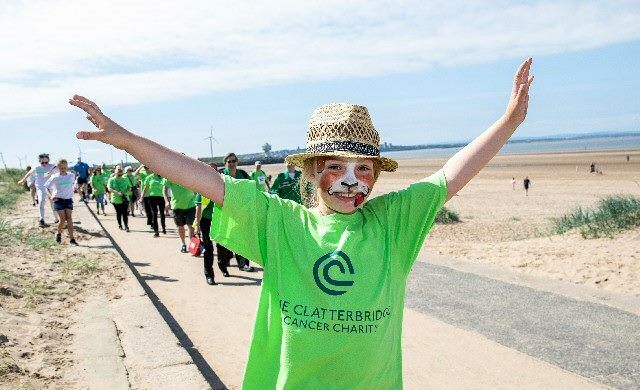 The annual Beside the Seaside Walk for The Clatterbridge Cancer Charity took place Sunday at Crosby Coastal Park in perfect conditions. The walkers enjoyed either a 5k or 8k picturesque route that took them past the famous Antony Gormley Iron Men sculptures on the sand. People were walking to raise much needed funds to help build a new specialist cancer Hospital in Liverpool City Centre as well as paying tribute to a friend or family member who has been treated for the disease. At the end many grabbed a bucket and spade to build a sandcastle and attached a message to loved ones, or to thank staff at The Clatterbridge Cancer Centre. As well as walking, those taking part enjoyed games stalls from Sunshine Events, including:- Hook A Duck and Hoopla and Jolly Jockeys brought along their ponies for people to meet and children to enjoy a ride, youngsters also enjoyed face painting by the talented Balloontoons. 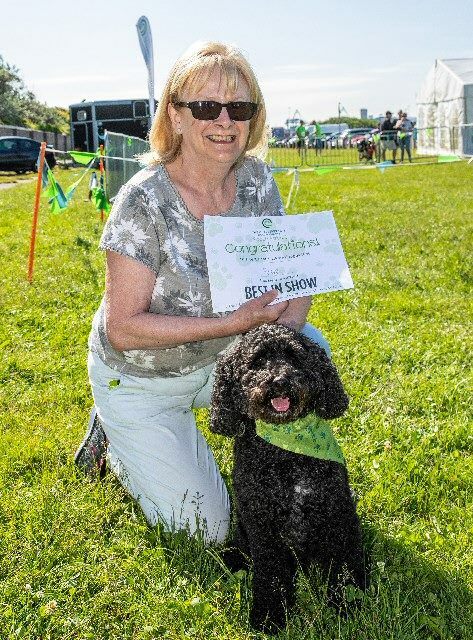 The ever popular Pooch Parade was back, with Archie the Cockerpoo being named best in show out of more than 40 entrants. There were also prizes for the Waggiest Tail and the Clatterbridge Mascot. The Clatterbridge Cancer Charity is working to raise ₤15 million for The New Cancer Hospital Appeal. The Hospital, due to open in 2020, will treat both in patients and out patients and will also be a centre of excellence for research. Improvements are also planned for The Clatterbridge Cancer Centre in Wirral. Mark Parkinson, Events Manager for The Clatterbridge Cancer Charity, said:- "Today was a fantastic event and we would like to thank each and every person who took part and all the dogs as well of course. The conditions were perfect and it was fantastic to see everyone having such a lovely time while raising vital funds to help local people with cancer. The money raised today will go a long way to helping transform the way we treat people with cancer and also fund vital research into treatment for the disease." To find out more about The Clatterbridge Cancer Charity or to help with fundraising see:- ClatterBridgeCC.NHS.UK/Charity/Home or call:- 0151 556 5566. ON 1 July 2018, Southport will be holding an Armed Forces day at the Town Hall Gardens, on Lord Street. The event will start at 10am with a Drumhead Service followed by a Parade. 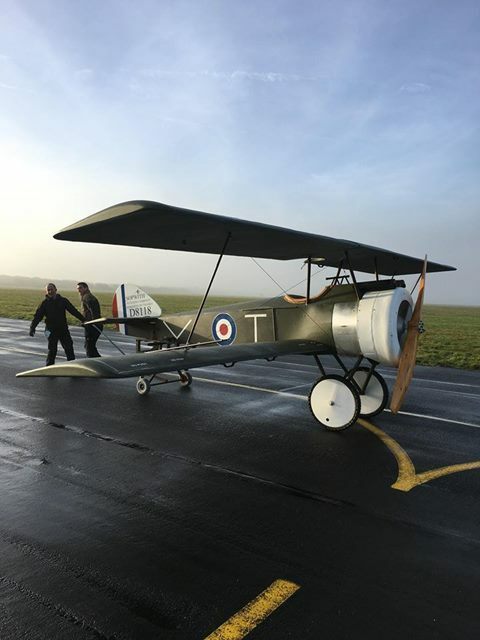 On display within the Town Centre will be vintage military vehicles and even the afore-mentioned World War 1 Sopwith Camel! The day's activates will also include a living history diorama display of a World War 2 British Medical Aid Post, along with live music from the King's Division 238 SQN RLC band, the United Voice Choir, The Just Voice Choir, the Ukulele Minstrels, The George Formby band, plus the Army / Air and Sea Cadet Band. The Armed Forces Day in Southport this year will be sponsored by Southport Freemasons, Avocado Ainsdale, as well as The Sovini Group. More information can be found on Facebook.